Potters Hotel & Brewery is a relaxing getaway, home to the Hunter's first microbrewery; the heritage listed "Brick Beehive Kilns of Nulkaba"; and Australia's first Destination Spa. 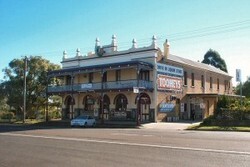 Located on 11 acres at the gateway to Hunter Valley Wine Country, Potters Hotel & Brewery was established in 2002. Come & experience the friendly hospitality the Australia Hotel has to offer. 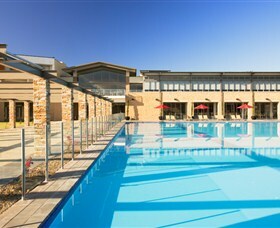 Situated in the town of Cessnock, the gateway to the Hunter Valley vineyards & surrounded by a number of quality golf courses, the Aussie offers the perfect affordable alternative for your next Hunter Valley stay. Comfortable pub style or motel accommodation, welcoming bars, a great tab, undercover outdoor area & the award winning Swill n Grill bistro awaits you at the Aussie. Let us arrange your next Hunter Valley getaway where we can include a winery tour, golf package or any number of the exciting activities the Hunter Valley has to offer. The Cessnock Hotel offers a diverse range of services and provides excellent accommodation, a restaurant, bars, function venues & services and live entertainment. Cessnock is in a prime location, located west of Newcastle in the foothills of the Hunter Valley and surrounded by national parks and state forests. Close to Hunter Valley Wineries, Wollombi and Yengo National Parks and the great beaches and lakes on the coast, the Cessnock Hotel is an ideal destination for short and long holiday accommodation. The Cessnock Hotel offers Hunter Valley accommodation for single persons, twin share, doubles, families and large groups of up to 40+ people in well appointed, clean and modern rooms with all the essential comforts. 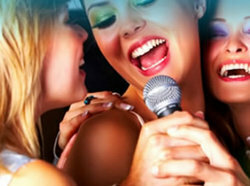 The Hotel is a thriving venue, with pool tables, poker tournaments and live music. We have a fine restaurant to tempt your tastebuds, open Thursday, Friday & Saturday nights (Bookings essential for Saturday night), also regular entertainment most weekends. Watch the sport on the big screen TV or races on PUBTAB and of course the "Best Beer in Town" and the only Drive-Thru bottle shop in town. Stonebridge Golf Course is the Hunter Valley's newest 18 hole championship course. Designed by local golfing master, Jack Newton, this 18-hole Par-72, 6,127m layout offers unique challenges to all golfing enthusiasts. In particular the course's signature 18th hole will feature a memorable par three playing over a tranquil lake, as well as the stone bridge directing golfers over the water and onto a picturesque green. Stonebridge Clubhouse will offer members and guests a range of excellent facilities including a clubhouse with a fully stocked Golf Shop, a cafe and a bar overlooking the 18th green and tranquil lake for you to enjoy a beverage after your round. The combination of a great course design set within a backdrop of the Hunter Valley wine region will make this an appealing destination for locals and travellers alike. 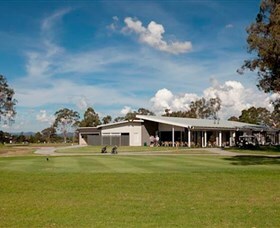 The Oaks Golf & Country Club is in the town of Cessnock around 2.5 hours drive north of Sydney. 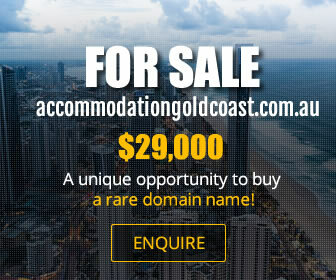 It is nestled in a bushland setting surrounded by the beauty of the Hunter Valley Vineyards and majesty of the Watagan and Brokenback Ranges. 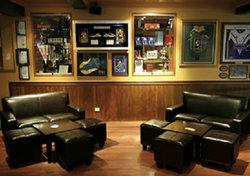 The Clubhouse has a fully licensed bar, bistro, auditorium for functions, conferences, meetings and parties. The surrounding deck can be used to view the approaching players as well as to take in the fresh air on a beautiful summers day (or evening). The fully licensed bistro/restaurant can cater for all dining requirements. Whether it be for a light snack after a round of golf, or an evening meal before you head home. Open Wednesdays through Sundays for lunch and dinner. 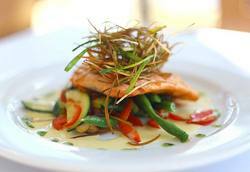 The Oaks also caters to large groups with a fixed menu or a la carte for finer dining. Theme special dinners and garden parties are catered for but weddings are their specialty. Capacity is around 110. This big old Cessnock hotel is one of the towns best kept secrets, offering exceptional dining and accommodation. 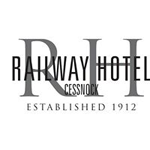 From our extensive dining options to the range of drinks behind the bar, Royal Oak Hotel Cessnock provides the perfect atmosphere in which to relax and enjoy a bite to eat. If you are looking for a beautiful spot from which to explore the Hunter region, come and visit us today. 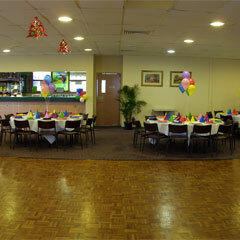 Sahara Mei Bistro at East Cessnock Bowling Club is located in the beautiful Hunter Valley region. Our club offers plenty of entertainment including a bowling green, TAB, KENO, a main bar area, auditorium and a family bistro with delicious lunches and dinners daily. For mouthwatering Indian dishes at affordable prices visit Indian at Hunter in Cessnock. With different spice blends and mild, medium and hot dishes available, we offer authentic Indian food. Our menu covers South, North and Central Indian dishes, with BYO also available. 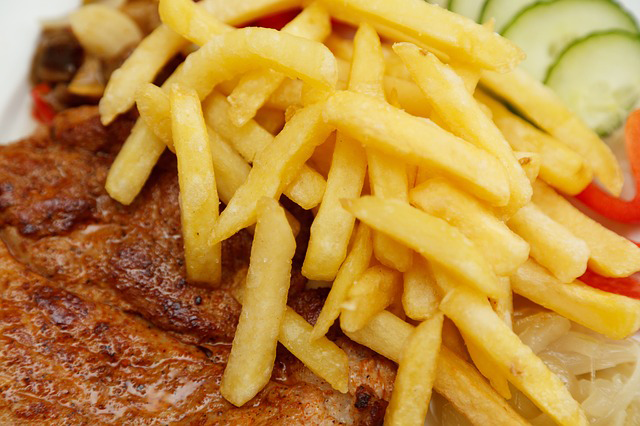 If you are looking for the best pub meal in town, Hotel Cessnock is the place to visit. Open every day for lunch and dinner, we offer a wide range of meals and snacks. Enjoy beer, wine and cocktails while tasting the delicious meals we serve in the bistro, courtyard or beer garden. Hotel Cessnock can cater for groups as well, so speak with us to make a booking and have us create a menu for you.